The CAE Single Lever Vanity Faucet with Pop-Up Waste is a beautiful addition to any kitchen or bathroom. Made with a pop-up waste, these faucets add style and convenience to your home. You’ll love the classic, chrome finish and single-handle design. These faucets are ideal for kitchens or bathrooms. Are you looking for a bathroom or kitchen faucet that is both stylish and functional? If so, these CAE faucets are the perfect option for you. 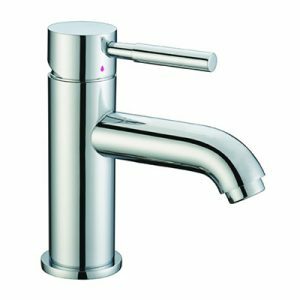 With such beautiful faucets available from Fiberpol, finding the right faucets for your home improvement project has never been easier. Find the quality, design and functionality you’ve been looking for by ordering your own CAE Single Lever Vanity Faucets with Fiberpol today!